During Restaurant Week, running September 15-20 and 22-27, Le Viet will be offering a three-course dinner every day for only $16.95 per person. Yes, Le Viet is offering this every day, September 15 through the 27!!! 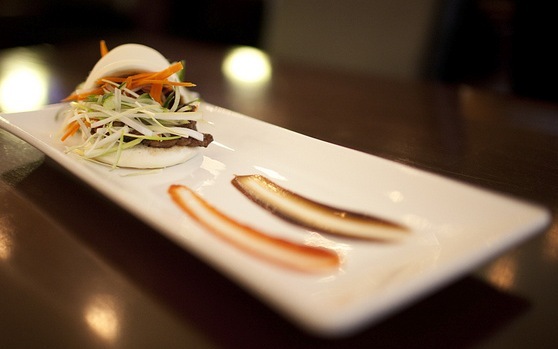 Choose from exciting appetizers like a watercress salad with carrots, onion, peanuts and beef or a grilled chicken slider on a steamed bun with carrot, cucumber, and scallion. Select a tantalizing entrée like caramelized pork slices served with steaming rice. Conclude your meal with one of three delectable desserts such as Le Viet’s Vanilla ice cream with fried banana, topped with coconut cream, toasted coconut and peanuts. Le Viet is located at 1019 S. 11th Street, Philadelphia, PA 19147 and is open 7 days a week from 11 a.m. to 10 p.m. For more information, call 215.463.1570 or go to www.levietrestaurant.com. And be sure to like Le Viet on Facebook and follow them on Twitter! 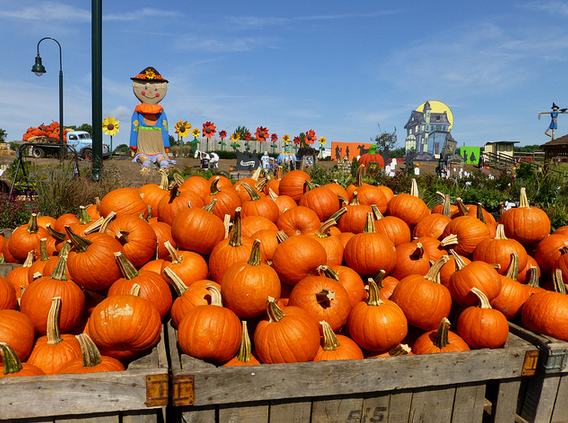 Celebrate the Harvest with Linvilla at Pumpkinland! Pumpkinland opens, September 14. Visit Linvilla Orchards during autumn to participate in the vibrant harvest traditions. The harvest marks the end of the growing season and cultures around the world celebrate this time with lavish festivals and century old customs. The most familiar symbol of the fall is the pumpkin. And Linvilla boasts over 100 tons of various types of pumpkins for you to choose from. You’re sure to find a pumpkin that’s just right. Towering over Linvilla’s Pumpkinland stand larger than life scarecrows. As the giant figures watch you take scenic hayrides in the crisp autumn air and you search for the perfect pumpkin, they’ll see smiling faces and hear children’s laughter. It’s one of the most exciting times to visit Linvilla Orchards. There is so much to do! Pumpkinland festivities include a variety of hayride options, straw bale and cornfield mazes, an impressive Jack-o-lantern exhibit and the annual Costume Parade. There is also live music, train rides, pony rides, face painting, pumpkin picking and pick-your-own apples. Visit www.Linvilla.com for a full list of Pumpkinland events, hayrides, and times. She m ay be best known as a competitor on Bravo’s Top Chef, but it is her quirky personality and the fact that she cooks with love that keeps us tuning in to ABC’sThe Chew every weekday at 1 p.m. 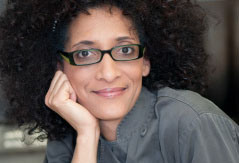 If you’d like a chance to get up-close-and-personal with this incredible woman, check out the James Beard Foundation’s Taste America: The Philadelphia Food Evolution. The gala event Carla is hosting is on Friday, October 4 at Peche, a Peachtree & Ward venue at 3502 Scotts Lane in the East Falls section of Philadelphia. The dinner features about 25 local culinary stars, many James Beard Award winners. If you can’t make it to the dinner but can get to Sur La Table in King of Prussia on Saturday, October 5, Carla will be signing books and offering tastings to everyone in attendance. For more information, log onto http://www.jbftasteamerica.com/event/philadelphia. Watching The Game Tonight? 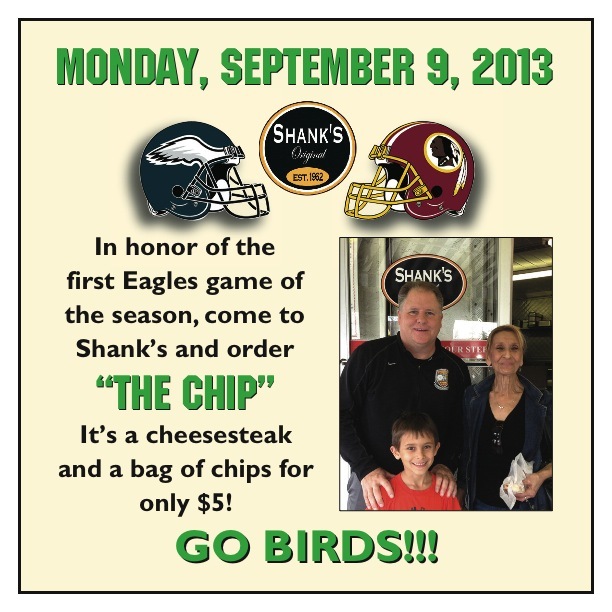 Order The Chip!